Abacha, also referred to as African salad is a traditional Igbo meal of eastern Nigeria, abacha which originated from Enugu is made from cassava. Abacha can be served as an appetizer or main meal, it is mostly used to welcome visitor before serving them the main meal. Abacha can be prepared in so many ways depending on the community you visit or the home you visited. No event happens in Enugu without Abacha in the menu. Abacha can be prepared in so many ways and its best served with fresh palm wine. 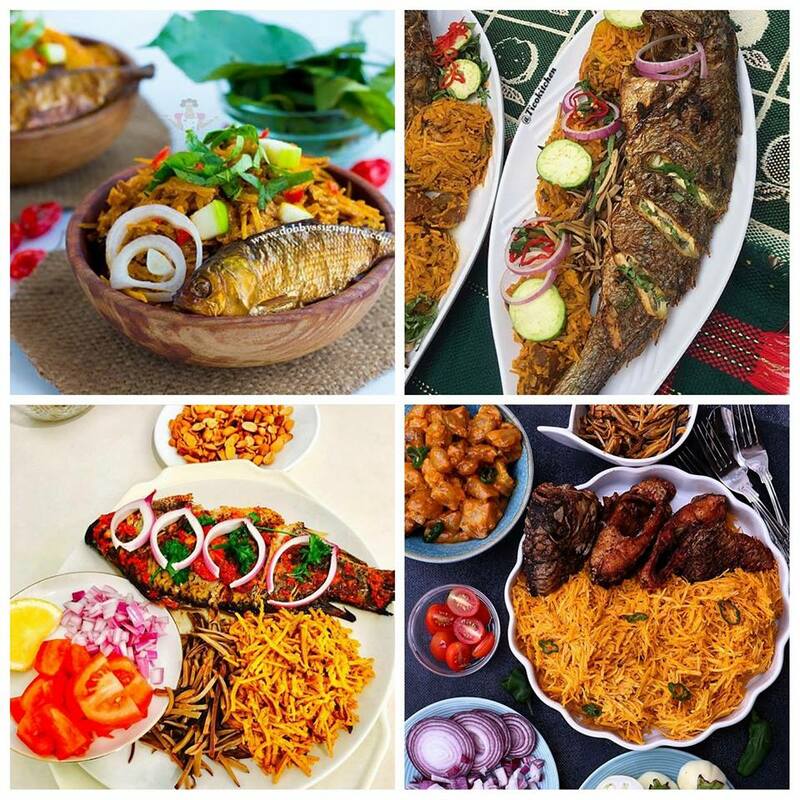 See other popular Igbo dishes. Soak the Abacha in hot water for a while but avoid it being too soft, this is only if you are using dried Abacha, but for this pattern of Abacha, its ideal to use the dried one instead of the fresh Abacha. After the Abacha must have softened, put it in a sieve and allow the water drain, then put the Abacha in a pot or bowl. after you must have readied your ingredients, Add your Fried Pepper or any form of pepper at all, Salt, Seasoning(knorr), Ehuru(Calabash Nutmeg) , Onions, and then Palm Oil depending on the amount of Abacha youu are preparing. After that turn(steer) it very well for the ingredients to mix. Taste to make sure everything is okey, and if it is, then your Abacha is ready. This is just one out of the many ways of preparing Abacha. You have to prepare the ugba, kpomo and fry your fish. steam your kpomo with cube of seasoning and a little salt, when its soft, remove the kpomo, keep it aside, then add your ugba and steam for a while, then add salt, pepper and a little Seasoning. When it steams add back the kpomo and steer it, afterwards, bring it down and separate the kpomo and Ugba if you want. You can be doing that while you Fry your fish. When you are done, Cut some garden egg leaf into tiny pieces and, slice your onion and garden egg, after that, you can just dish your Abacha. Final process. Abacha is ready. Quite easy right? Ever tasted or prepared Abacha or any Igbo meal before? Did you make some modifications of your own? Share with us your thought via comments below. This looks absolutely tasty. I am saving this recipe to give it a try in the future. no! i’ve never tried it but it really does look so good! I have never tried anything like this. It looks so delicious. One of my favorite dish, love Abacha a lot, each time I visit Enugu abacha is one of the food I look forward to eating. This is our food, reminds me so much of home.. proudly Ada Ezeagu, Ada Enugu state.